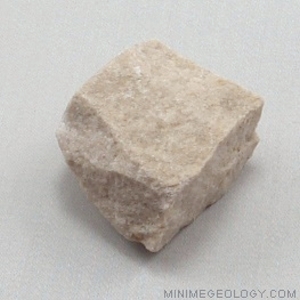 Sandstone sedimentary rock consists of sand-sized quartz particles that compress or cement together to form a rock that is often yellow, orange, white. Other colors of the rock are possible, depending on the accessory minerals present in the rock. Sandstone forms worldwide and is a popular building material. Sandstone aquifers with open spaces between the grains are good layers for the underground storage of water, natural gas and oil.